Concrete - D&L Concrete & Fiberglass Products Ltd.
D&L concrete products are manufactured using a dense (sulphate resistant) SR rated cement mix with a minimum break strength of 42+MPA to provide superior strength plus prevent premature concrete spalling caused by the corrosive environment of a septic tank. All tanks are built to meet and exceed CSA B66. 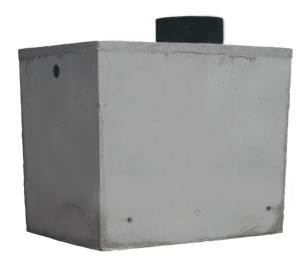 Our 750 concrete septic tank comes with a pour in fiberglass liner for the effluent chamber. 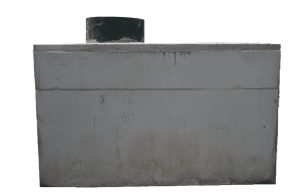 We only use fiberglass or PVC baffles in our concrete tanks to eliminate any future baffle corrosive breakdown and short circuiting problems. 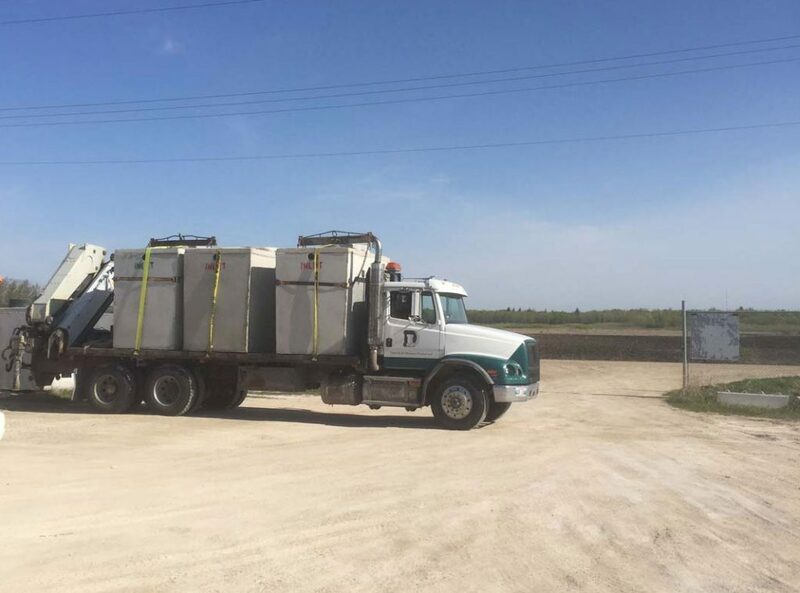 All of our concrete tanks are manufactured with fiberglass manhole for ease of installation and to also provide a better seal-ability of the manhole with only one joining section to seal opposed to multiple joints when using concrete. We have a fleet of heavy haul crane trucks for delivery and placement of all our concrete products.